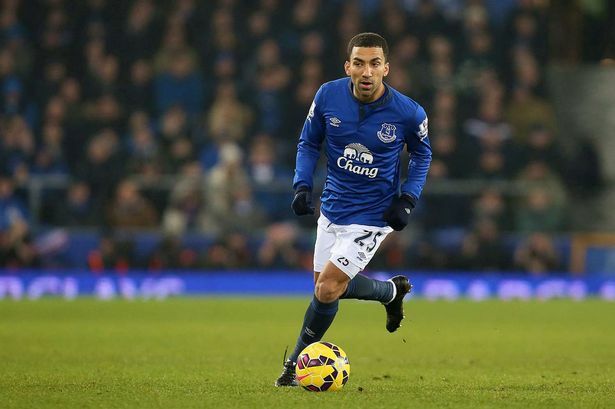 Everton midfielder Aaron Lennon says that he will not sulk despite losing his place in the first team in recent weeks. 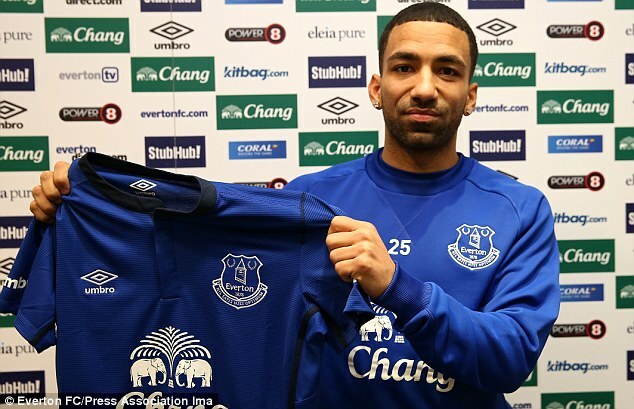 Lennon was brought to the club in the summer of 2015 by former boss Roberto Martinez. However, he has struggled to become a first team regular under the regime of Ronald Koeman. The Dutchman was appointed as the manager of Everton in the summer. Since then, Lennon has been in and out of the starting lineup and it has really affected his form. He has so far not contributed any goals while coming up with only one assist. Everton midfielder Aaron Lennon might return to his boyhood club, Leeds Unite, when the January window opens as he struggles in the Premier League. The Yorkshire-born player has spent almost a decade in the Premier League, and it seems the 29-year old might eventually find his way out. He used to be a good dribbler and the pace he had gave the edge when he faced Premier League left backs. When Spurs former manager Andre Villas-Boas arrived at the club, Lennon had to give way, as the coach preferred an inverted winger, which Lennon was thought incapable. This forced Lennon to move to Everton. He has been decent, and last term under Roberto Martinez, the player really blossomed. Lennon is not really known for his goalscoring, but he really helped the team from his position – the right wing midfield. 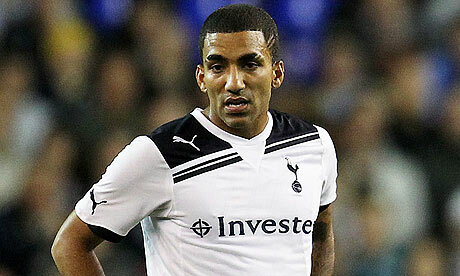 Under Martinez, Lennon was able to break his record, as he netted six times all season. However, since Robert Koeman took over, the manager has been keen on wide positions that have seen him prefer players like Gerard Deulofeu and Kevin Mirallas. Yannick Bolasie has done well to pair with striker Romelu Lukaku, and he remains the preferred option ahead of Lennon. Koeman lost out in the race to sign Moussa Sissoko but he is targeting out-of-favour Manchester United star Memphis Depay. With Leeds hoping to get a promotion – they are in the play-off spot – the Yorkshire-base club would offer Lennon regular playing time while he contributes to their promotion bid. He would likely be among the outstanding players in the English Championship if he is dedicated. Garry Monk is focused on playing quality football at Leeds, even as they struggle to get the required goals. Lennon would at least help their chances if he does not actually score more goals. Everton former boss Roberto Martinez assured that the midfielder Aaron Lennon’s current form is good enough to make him an incredible asset for England squad at the last Euro 2016 this year. The England international netted five impactful goals in his 25 Premier League appearance for Everton with 17 starts last season. The 29-year old, capped 21 times, last played for his country in their friendly victory over Brazil in February 2013, but his ex-coach, Martinez still insists he remains a valuable option for the tournament in France which Portugal won with 1-0 after extra time in the final against the host, France. “Obviously it is not down to me but I get the opportunity to work with Aaron day in, day out, and he is such an important player,” said Martinez when questioned about Lennon’s international chances. Martinez should know better having coached the player during his time at Everton. 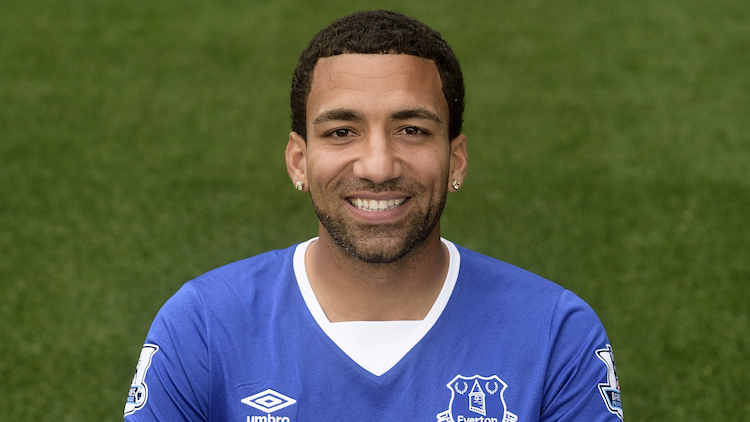 Aaron Lennon was one of the stand-out players of Everton during the previous 2015-16 Premier League as the 29 year old performer helped his club in securing a spot in the middle section of the English League. Former Everton midfielder Lee Carsley believes that Seamus Coleman needs a winger such as Aaron Lennon to play in front of him. Indeed, Coleman’s has experienced a drop in form last season and was often the subjects of critics. In fairness, it was the whole Everton team that underperformed last season, and Coleman was one of those players that fail to replicate their usual form. People were used to Coleman making those important runs on the wings, but these performances were very rare. The player also suffered numerous injuries throughout the season and this also affected his performance negatively. However, Lee Carsley believes that the player will find his form back next season, and he will be an important player for the team. He said that the player has already shown signs that he is recovering at the Euros and that he will be an influential player next season for Everton. Lee Carsley believes that having a player such as Aaron Lennon in the team will definitely help improve Seamus Coleman performance. The former Everton manager said that Aaron Lennon is an old-fashioned winger that likes to go up and down the wings and will provide Coleman with additional cover. Everton ace player, Aaron Lennon has been rated a decent player for the performance he put in last season for The Toffees. Many Pundits reviewed the efforts put in last season by different players and the winger scored well, for a player that barely played a third of the season. There are not too many Everton players who it can be said had positive seasons this year. There are even fewer Toffees who had career-best seasons. For Lennon, he had a career best season as he scored the most goals and played impressively, terrifying defenses for a 10-week period in the middle of the season. In the top flight football league, he had just 18 starts as the season for him was injury-ravaged. He scored just 5 goals but with an 81.2 percent passing accuracy. Aaron Lennon will be back in the team to face Manchester United after having received injuries in the game against Liverpool. Tom Cleverley, as well as Leighton Baines, should also be available for this match. However, there are fears that 3 other important players might be unavailable for the game due to injuries. Jagielka, who missed a couple of matches, will face a late fitness test to determine whether he is ready to take part in the match. Gareth Barry, who was substituted at half-time for the match against Liverpool, will also have to prove his fitness before making it to the team. However, Roberto Martinez is adamant that John Stones will be available for the match despite suffering from stomach cramps in the game against Liverpool. The FA Cup win over Chelsea has not only made Everton confident about reaching the semifinals of the competition, but it has also made them fearless according to winger Aaron Lennon. The former Tottenham man has been getting more first-team opportunities since his move to the Merseyside on a permanent deal in the summer. The 28-year-old has already made more appearances in the league than he did with Tottenham – across all competitions – in his final campaign with the club. The regular first-team football that the player has been getting is starting to show in his end product. Manchester City’s Manuel Pellegrini is searching around the transfer market for players that can reinforce the midfield department of his squad and Aston Villa’s Fabian Delph is a performer that has entered the radar of the Chilean manager. Frank Lampard,Michah Richards and Scott Sinclair and James Milner have already seen their way out of the Etihad Stadium and now Manuel Pellegrini has the task of filling up the spots which have been left weakened as well as vulnerable. The Premier League title is a piece of silverware that Pellegrini and Manchester City are aiming to win in the next season and reinforcing the squad is something that must be done in order to compete against the likes of: Chelsea and Manchester United. Fabian Delph played a huge role for Aston Villa in the previous season as he became the captain of the Premier League club and was one of the main reasons on why his club managed to stay alive in the top tier England league and avoid getting relegated. Aaron Lennon could return to the Merseyside on a permanent basis after it is believed that the Evertonians are keenly looking forward to signing the England international. The club have been in discussions with Tottenham for the last couple of weeks after it became apparent that Lennon did not have a future at White Hart Lane. He had spent the last six months on loan at Everton and they seemed as the likely destination for the 28-year-old. However, one aspect that remains to be sorted as the transfer fee. Spurs are known as very hard negotiators and are unlikely to let Lennon leave on a cheap despite the player not figuring in the plans of manager Mauricio Pochettino.